Esther Bick was born in Poland. She found her way to Switzerland during the Second World War, where she did her Ph.D. under Charlotte Buhler before moving to England to train as a psycho-analyst. 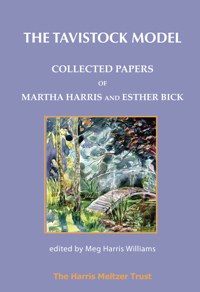 She worked closely with Melanie Klein and initiated the Child Psychotherapy Training at the Tavistock Clinic which Martha Harris continued to nurture following her retirement.